An island daily transformed its office into an awards venue to celebrate the best of its patch. 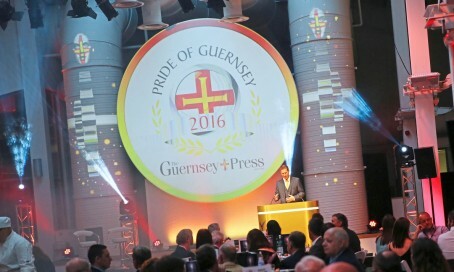 The Guernsey Press and Star’s newsroom was packed up on after deadline on Friday night to make way for a production crew, staging, rigging, lighting, sound systems, catering and tables for almost 200 guests and VIPs at its inaugural Pride of Guernsey Awards. Staff from across all departments worked together to make the invite-only event, featuring 12 awards and local celebrity presenters, go without a hitch. The awards, the first of their kind on the island, celebrated those doing extraordinary things for others every day, with no thought of recognition or reward. Press and Star staff hosted tables, produced the show accompanying the ceremony and reported live on events via blogs and social media, culminating in the winners being invited through to the on-site press room to watch the printing of a live special eight-page ‘awards edition’, just 10 minutes after the last medal was presented. A video of the ceremony was also produced, along with a time-lapse film showing the transformation of the newsroom by the IT department, followed by its return to operation the next morning in time to produce Monday’s edition. Deputy editor Suzanne Heneghan said: “As a modern newspaper we are used to adapting to challenges and making a great product every day through the collective skills, experience and team spirit we have at the Guernsey Press – a message that came through very strongly on the night.